Ufone, today, announced another offer that might be your next pick if you are using a prepaid connection of Ufone. This time the favorite service provider of Pakistatan has introduces a card worth of Rs: 275 that will be your companion for 15 days and will try to fulfill all of your needs of calling, messaging and internet usage. 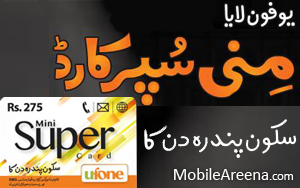 After the tremendous success of Super Card and on popular demand, Ufone proudly announces launch of Rs. 275 “Mini Super Card”. With Mini Super Card, U will get 500 minutes (U-U, PTCL and Vfone), 75 minutes (all local mobile networks), 500 SMS (all local mobile networks), 500 MB Mobile Internet (2G & 3G). That too without any additional taxes, call charges or any kind of rates calculation. No doubt it is an awesome offer by the company but the awkward thing that all the companies do in their advertising is also here. In the advertisement the company has claimed that this "Mini super card" gives you "Bey Shumaar" minuts and SMS and "Bey hisaab" internet. This is altogether wrong approach to attract the customers by using exaggeratedly words of such kinds. 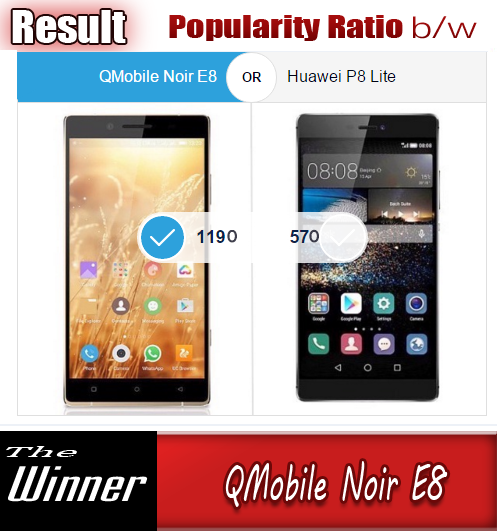 Companies think that they are very clever to use such vulgar lines in their promotions but this kind of phrases always hurt the customers when they actually come to know the limitations of the given offer.